Airbus is in a unique position. 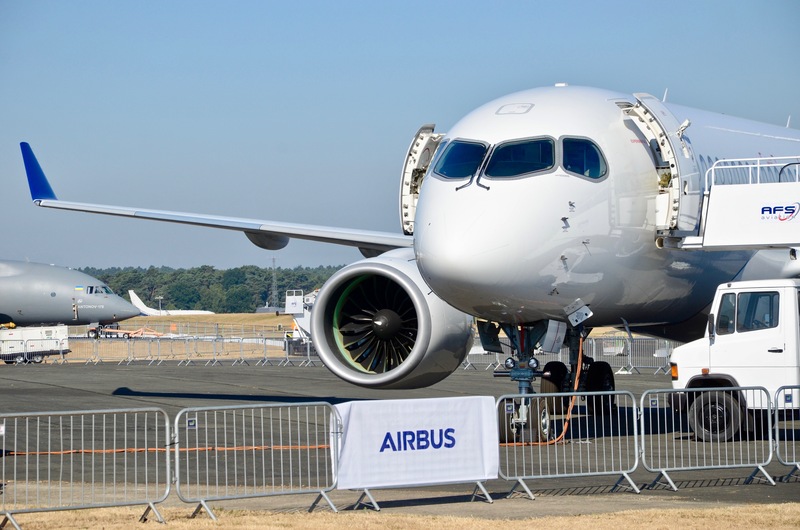 One-hundred percent of the A220 is procured from suppliers for its new final assembly sites. Mirabel, Québec — Getting Airbus A350s out the door on time in Toulouse had to happen before A220s could follow a continent away. Airbus’s new head of the A220 program said Monday that after hammering out issues on its new twin-aisle at interior supplier Zodiac, now part of supersupplier Safran, the embedded team quickly shifted focus. Airbus had a full A350 team at Zodiac, at the same production facilities that fed the A220 project. “Basically coming in we leveraged exactly the same guys over there — we did it for the A350 — they switched to the A220 to ease the ramp up on the A220,” said Florent Massou on Monday during the during the company’s first open house since Airbus took over 50.01% of the rebranded A220 program on July 1. It’s a prime example, said Airbus’s new leadership of the program, of how it is throwing its weight behind its new strategic leverage to industrialize the A220 program. With its takeover, Airbus now manages Bombardier’s Mirabel final assembly line and the more than 100 Tier One suppliers that deliver structures, components and systems for each aircraft.